Watch 100+ TV channels handmade for the Internet, free on any device, anywhere. 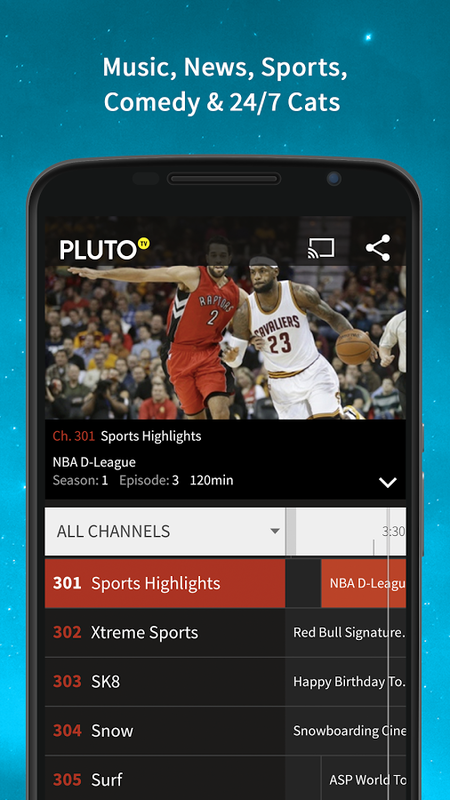 Lean back and enjoy many selected channels like sports, music, news, comedy, drama or try Pluto TV exclusive like Fails, Classic Toons and yes…Cats and dogs 24/7. App developers hand-pick and organize millions of hours of clips, full episodes and viral sensations into TV channels for the web. Their ever-expanding universe of content includes staples from news to fashion, partnerships with some of the best content creators on this planet and real-time agile channels capturing the social chatter. Note: This app and its content its only available in english by now. Backgrounding the Pluto app or turning off the screen will end the connection from the app to your Chromecast. 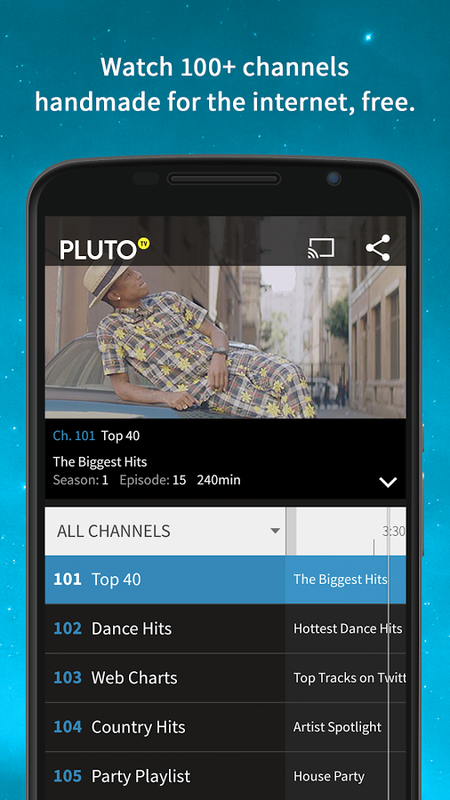 Keep the Pluto TV app opened to continue casting.